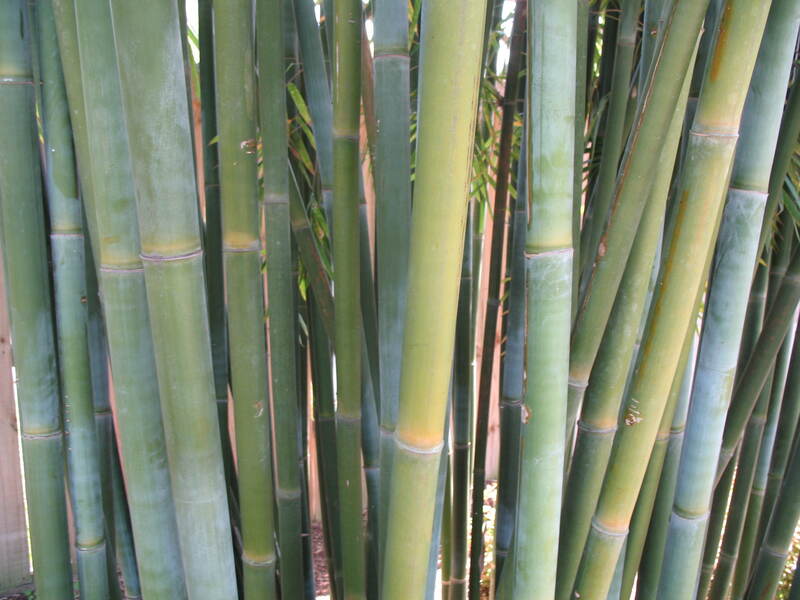 Comments: This is a tight clumping bamboo that grows quite erect as seen in the image on this web page. It is often used for privacy control where a towering screen in needed. The diameter of the culms can be around two inches. The leaves are small and the internodes are long. There is a silvery-white bloom around the nodes.